ANTIQUE CORAL is a multifunctional company that provides image consulting, imports professional skin care products and owns spa in the city's fashionable Yorkville district. Participants in our image course are engaged in three separate seminars. The first is a consultation that focuses on an individual analysis of participants which includes skin type, hair style, wardrobe and make up introduction. The second is an advanced make up lesson for women. For male participants there is an alternate seminar on etiquette and clothes advisory. The third seminar is a shopping seminar where the participants learn about budget, where to shop and what to buy. Many people go through life feeling like the world does not know or even see who they really are. Our image consulting is not about changing who you are. It is a professional consultation process that enables you to be yourself with the flare of self assurance. 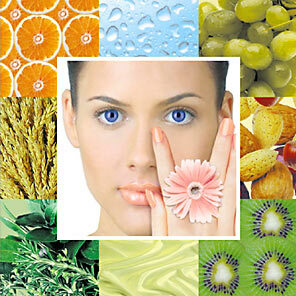 ANTIQUE CORAL has introduced professional high-end skin care products: Biozon-A, Vitamin C&A, Solar Energy and more. These products are effectively proven and are distributed through professional beauty supplies and skin care therapists. The company acquires know-how and raw materials from international companies and offers innovative skin care solutions for normal and dry skin, sensitive skin, oily and problematic skin, whitening, anti-aging and injection free alternative. ANTIQUE CORAL provides seminars and classes for beauticians and spa owners. These unique seminars are concentrated on the most advanced treatments and marketing strategy. With our products you look better every passing day! 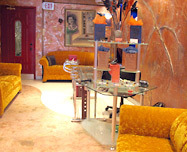 ANTIQUE CORAL Spa is located in the heart of Toronto, at the fashionable Yorkville Avenue. Here you can experience Antique Coral professional skin care products and spa services from facials to reflexology in the calm and relax atmosphere. 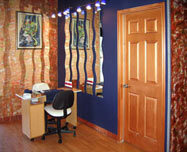 Our team includes certified estheticians, licensed hair stylists and registered massage therapists. Welcome to ANTIQUE CORAL - your personalized approach to beauty!